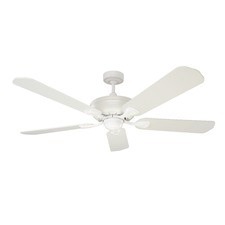 Did you know that a ceiling fan can lower the temperature in a room by as much as 4 degrees? 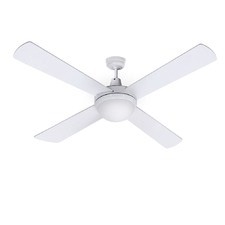 This is just one of the many great reasons for buying a ceiling fan. We're here to talk about three different kinds of ceiling fans, and why they might be smart purchases for your home. Indoor ceiling fans have been around for over 100 years, but these days many people choose to install air conditioning instead of a ceiling fan. Why not have both? The presence of a ceiling fan can significantly reduce your energy bill. 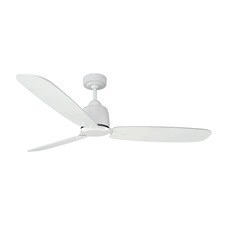 Not only does it make turning on the air conditioner unnecessary in some situations, but when the air conditioner is on a ceiling fan is able to improve its efficiency. By circulating the cool air faster, your air conditioner won't have to work as hard and you'll save big on electricity bills while helping the environment at the same time. 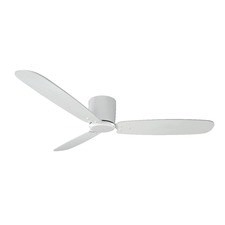 Unlike standing fans or table top fans, a ceiling fan becomes a part of the room's decor and doesn't present a tripping hazard with wires or take up valuable space. 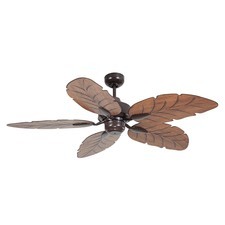 Outdoor ceiling fans are perfect for an outdoor room or patio. One of their main benefits is their ability to discourage flying insects - pests like mosquitos and flies dislike flying in a breeze and tend to stay away, allowing you to enjoy the outdoors in peace. On a sticky hot day, an outdoor ceiling fan can help keep you cool so that you can relax comfortably and still get some fresh air at the same time. 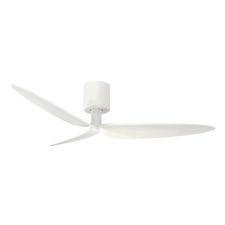 Of course, outdoor ceiling fans are made out of durable material that ensures they are not damaged by weather conditions and will last a long time. Bathroom exhaust fans have a very different set of benefits from other ceiling fans. 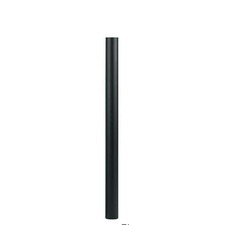 The main purpose of exhaust fans is to combat excess moisture caused by high humidity. 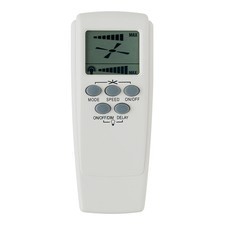 This excess moisture can cause huge problems in your home if it is not dealt with. Steam from hot water can lead to mould and mildew if a room is not ventilated properly. Even if your bathroom has a window an exhaust fan has the ability to significantly improve ventilation. Of course, steam and moisture can be a problem in other rooms of the house as well. Exhaust fans are for more than just the bathroom - you can experience their benefits in laundry rooms and kitchens as well, which face many of the same problems. 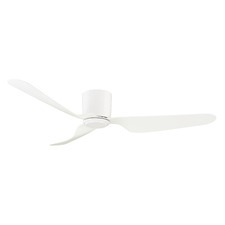 These days you'll find ceiling fans online with plenty of extras that make use of new technology, like increased efficiency and air flow, better controls and blade design, and quieter motors. 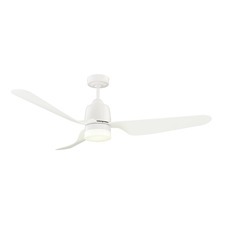 Discover the benefits of ceiling fans for yourself and purchase one today! 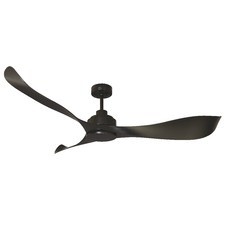 At Temple & Webster, we want to make sure that you have lots of different options when you're shopping for Ceiling Fans. With so many Ceiling Fans with features like Type, Style and Special Offers it's easy to find Ceiling Fans that match your space. Whether you need traditional Ceiling Fans in Melbourne or modern Ceiling Fans in Sydney, browse the filters in the left menu to narrow down your search. 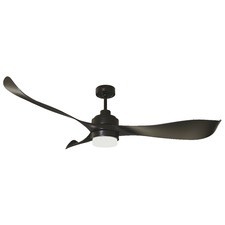 Additionally, with big name brands like Mercator and Mercator you're sure to find quality Ceiling Fans. Temple & Webster is an online furniture store based in Australia and has great shipping options for all major cities like Melbourne and Sydney.